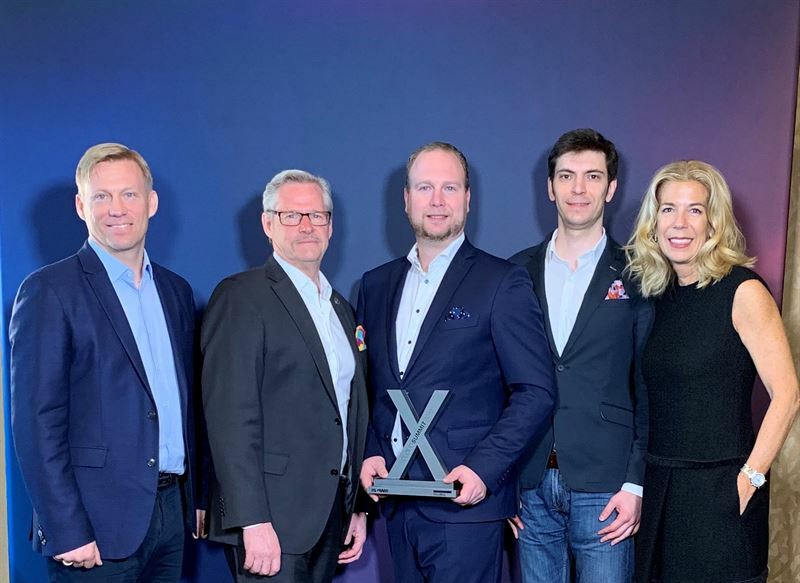 Photo, from left: Torbjörn Schön Director Value and Cloud Business Ingram Micro, Göran Gustavsson COO Advania, Daniel Albertsson Nordic Cloud Manager Advania, Anton Skornas Cloud Business Developer Advania, Renee Bergeron Senior Vice President Global Cloud, Ingram Micro. "We carry the award of the year’s Scale Partner Europe with pride. It is an acknowledgement of a professional and efficient collaboration between suppliers, distributors and a forward-thinking integrator like Advania. It is a good service that first and foremost benefits our end-customers," said Daniel Albersson, Nordic Manager for Cloud Services at Advania. Behind the recognition is Ingram Micro’s ranking of partners, which is judged by their maturity within four categories: growth, breadth, depth, and the highest category which measures the ability to scale the business. It’s in this category that Advania is considered the best in Europe. To qualify to be a Scale Partner – and therefore compete for awards – the partner must have more than ten services in their offering, including infrastructure as a service and managerial services. In addition, an overall digital experience for customers is required on a fully-automated marketplace. "Advania offer a unique digital customer journey in a fully-automised delivery of cloud services, and further excels with growth far above the industry average." Cloud Summit is arranged annually by IT-distributor Ingram Micro, and attracts thousands of decision-makers from around the world who want to capture industry trends, discover new techniques and share best practice around cloud-based IT solutions. This year, the event took place 11th-13th March in San Diego.